We’ve got a new program this year that has been flying under the radar but I wanted to take a moment to shine a bit of light on it. JumpStArts is a visual arts program for probation and foster youth in Mariposa County. The program is a 20-week artist-in-residence program focused on visual literacy and visual communication. It supports a growing body of academic research indicating that exposing youth to art promotes emotional intelligence, a greater sense of self-worth, and critical thinking skills. To this end, we are pleased JumpStArts is a partnership program with Sierra Quest Human Services Foundation who have helped us build the program to complement their strength-based counseling program, which focuses on youth’s strengths and interests. The program is broken down into two different components: art talks and applied visual communication projects. Utilizing the digital art collections of major museums, the art talk portion of this residency exposes participants to selected artwork from cultural institutions around the world. The talks are facilitated in a way to encourage engagement through discussions that prompt evidentiary looking. New research suggests children’s emotional and intellectual development is positively affected by carefully looking at works of art, talking about what they observe, backing up their ideas with evidence, listening to and contemplating the views of others, and examining a myriad of interpretations. Exposure to art affects the values of young people, making them more tolerant and empathetic. Building awareness of different people, places, and ideas through the arts helps young people appreciate and accept the differences they find in the broader world. Art experiences boost critical thinking, teaching students to take time to be more careful and thorough in how they observe the world. (J. Greene, B. Kisida, D. Bowen, The Educational Value of Field Trips, Education Next). This portion of the program also provides contextual information and introduce vocabulary associated with visual communication that is be applied in the second component. 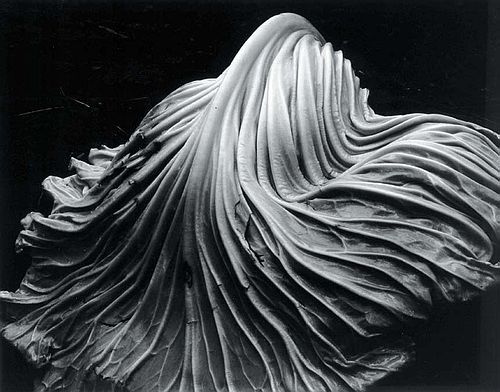 My favorite moment from the art talk portion of JumpStArts, thus far, came when I was talking about the elements of art, specifically line and texture, and used the below image (by Edward Weston) as an example of these elements. Participants immediately responded to the image agreeing that this was a “sad” image and made them think of a jilted bride bent over her wedding dress weeping. This interpretation of this image was a new one for me, but from now on, I will only ever see the sad young lady tragically left at the alter. More importantly, their ability to interpret the photo in this way backs up the research mentioned above. The program’s artmaking component applies the concepts and techniques introduced in the art talks (vantage points, composition/rule of thirds, the elements of art, the principles of design, and visual metaphor) in the fields of photography, drawing, and graphic design. These engaging, goal-oriented activities are designed to provide participants with an applied skill set in the visual arts, but also nurture their existing strengths and interests thereby creating an environment for success and increasing the participants’ sense of self worth. This being a pilot program, we began this portion of the program open to new ideas and ways to teaching art with this specific population. We quickly learned that the best way to connect with this particular group of kids was through, I kid you not, weightlifting! 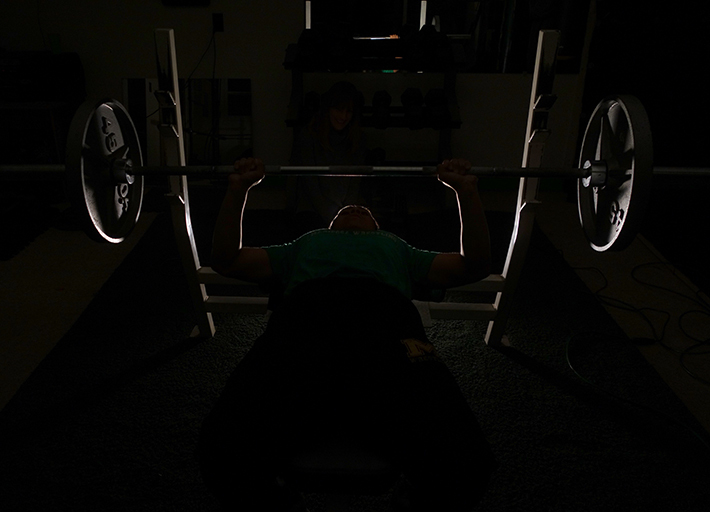 As a result, we started “The Bench Press Club” where we create art in the weight room and as a capstone project the participants are working to put together to design a logo and other promotional material for “The Bench Press Club.” The first image above and the image below were created during these sessions. While still in a pilot phase, we are so thrilled by this program and the fact that it allows us to deeply invest and tap into the great potential of these at-risk youth. We have grand plans for its future so stay tuned to see where it goes! 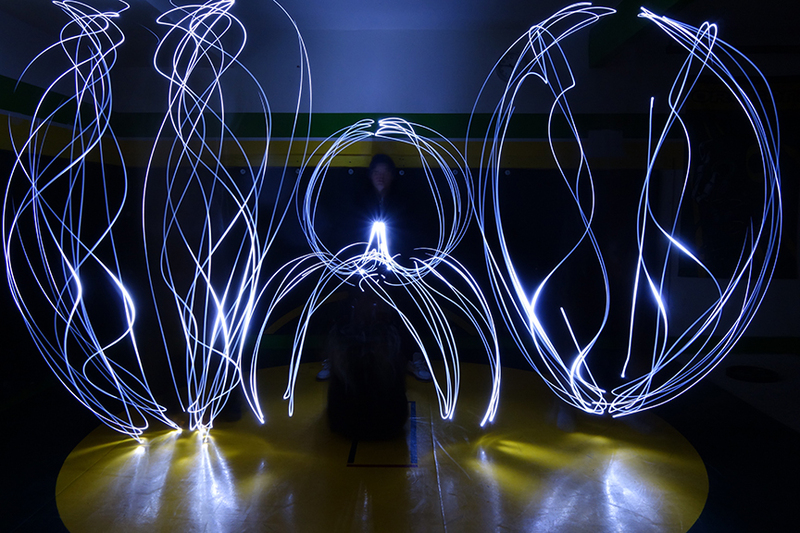 The image above was taken during a light painting lesson. 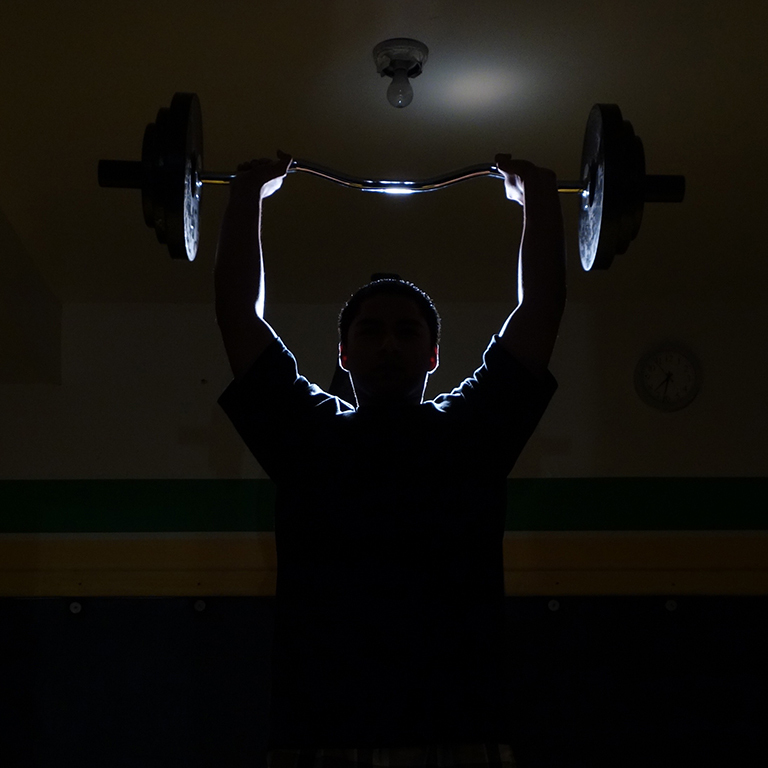 Participants were learning about the elements of art (line in this case) by creating light paintings with flashlights…while also working out. In this photo two participants are doing sit-ups, another two are doing squat jumps, and one is doing a wall sit.